What a pleasure it is for me to read your blog each week, which I look forward to, and to once again be reminded of the beauty of solitude. I recently went on a 10 day silent meditation retreat to savor solitude, and to see what blossoms grow in that rich soil. 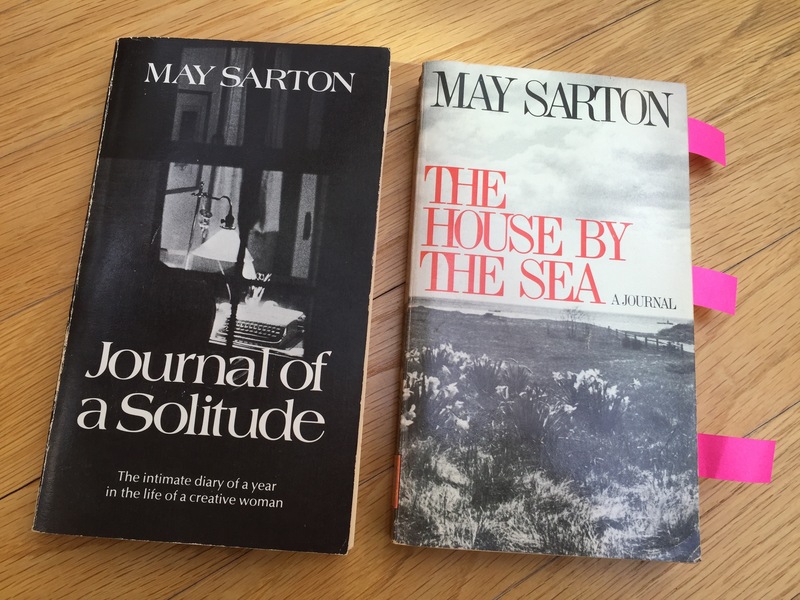 Faye, I remember the strong impact that May Sarton’s “A Journal of Solitude” first had. My reaction felt like an intense wave in the sea before a wind storm, and it woke me up! Her ability to be publicly vulnerable helped me to feel close to her. At that time I was struggling with trying to keep everything in a neat row. What a relief to know that my weaknesses can be honored along with my strengths. Mostly to honor solitude, and to watch the river flow and the buds begin to bloom. Happy spring dear Faye! Thank you, Bev, for such a beautiful comment. You may not recall, but both books in the photograph are signed by you—The Solitude book says—”On your journey as a writer, may this journal be of comfort to you. With love, Bev.” The journey continues, my friend. Thank you, again. Thanks to generous friends, I just had the opportunity for three uncluttered days in Vermont. How important solitude is and how difficult to find. Thank you for this post. Kathi, how delightful and timely! I’m so pleased for you.